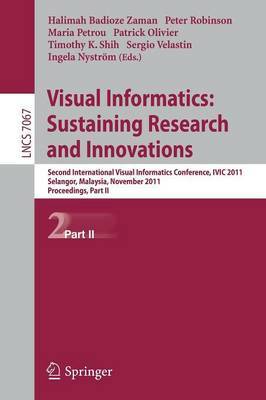 The two-volume set LNCS 7066 and LNCS 7067 constitutes the proceedings of the Second International Visual Informatics Conference, IVIC 2011, held in Selangor, Malaysia, during November 9-11, 2011. The 71 revised papers presented were carefully reviewed and selected for inclusion in these proceedings. They are organized in topical sections named computer vision and simulation; virtual image processing and engineering; visual computing; and visualisation and social computing. In addition the first volume contains two keynote speeches in full paper length, and one keynote abstract.